While many people believe that being a leader requires the right knowledge and skills to successfully run the business, it’s much more than that. Being a leader of a smaller or bigger web-development team means creating teamwork culture where productivity and efficiency thrive with the ultimate aim to deliver the best possible results. However, running a team isn’t a walk in the park. As a manager, you need to be able to create a working atmosphere where workers will be able to reach their full potential and inspire others to give their best to contribute and work towards the same goal. Despite giving their best to produce positive results, teams still fail to keep up with the pace of the modern digital world and show their true potential. So, what can you do to increase your team’s productivity? Web developers are mostly focused on writing code and building a software and aren’t so much involved in decision-making processes in the field of marketing, business development and building a customer base. To make sure that your developers have their say, organize regular meetings where your employees could talk openly about the lessons they have learned over the past month or a week, and let them determine their plans and responsibilities for the following period. Also, this will help your employees identify their professional road and share any ideas that could contribute to the overall success of the project. By sharing their experiences and thoughts, they will become more familiar with all critical stages of the project development, and they will have a clear insight into how their work impacts the business success. Besides having the right qualifications and the knowledge to perform their tasks, employees should be a culture fit. Creating a good working atmosphere heavily depends on the social interaction and mutual support between team members. One of the ways you can nurture the relationships between team members is to get them involved in team building activities. From organized group activities and problem-solving activities to organizing corporate events and providing group mentoring, There are myriad of things you can do either indoors or outdoors to bring your team closer. Not only will it build trust and strengthen the relationship between your employees but it will upscale the team’s’ productivity and create the team spirit that will have a positive effect on the business in the long run. Looking for a new career? Check out How to Become a Successful Digital Marketer – For Beginners! Communication is the key to successful business. Miscommunication and misunderstandings can have a detrimental effect on any business and eventually lead to a failure. It’s of critical importance to practice open and honest communication with your employees and let them know they can give feedback particularly on the things that deserve much attention. Running a team without having the real knowledge about their feelings and attitudes towards their work will leave you in the dark and cause many future bottlenecks and potentially huge problems. One of the ways you can encourage your employees to freely talk about the things that bother them is to hold weekly meetings and discuss any heating issues. Also, there is a broad range of useful and user-friendly best project management tools that can help your team take the communication to a whole new level. The right communication tool will enable your team to stay in tune with all the alternations of the project and communicate their ideas openly and clearly. The ultimate goal of your web development team is to deliver high-quality websites and develop best possible results. To be able to encourage your team to give their full potential and maximize their productivity you need to give the appropriate support. One way to do this is to provide them with the right equipment and user-friendly tools that will help them leverage their efficiency. In the sea of project management, communication and collaboration tools available on the market, it’s important to choose the ones that your team will benefit from. These tools will allow your team to adjust the product until it lives up to expectations. Invest in the right tools, and you will see the significant difference in your workflow. One of the top responsibilities of any successful leader is to teach. All the biggest leaders of the world had that sparkle in them that made them stand out from the sea of other wannabees and find their place in the stars. That spark is a vision. As much as your employees would like to work in a healthy and friendly environment provided with the latest technology and all the resources they can imagine, their ultimate goal is to learn something new and advance in their career. Invest in your team education by giving them access to a free educational library or conduct weekly training sessions where you can discuss all the lessons that you have learned and all the obstacles you had to overcome along the way of reaching success. Building a trust among your team member and keeping them happy, satisfied and motivated is the crucial factor in running an efficient business and finding your place in the ever-increasing market. It’s safe to say that everyone has heard that “word of mouth” is the best advertising. Regardless of how much money you throw at your paid advertising, your prospects are more likely to do business with you if someone else gives them a recommendation. With all of the current technology available, businesses can leverage placement of customer testimonials online to provide word of mouth advertising, allowing their potential customers to make educated decisions. Customer testimonials matter to your potential customers because they appear authentic. People know that a business is trying to sell to them, but a customer testimonial is a personal experience that someone else has had. It is a person sharing a positive experience. They are not profiting from you making a purchase; they are only sharing their own experience. Customer testimonials make it easier for potential customers to believe what your business is saying. Here are five practical ways to include customer testimonials in your digital marketing efforts. One of the ways that you can gain the trust of potential customers is with social proof, which is proof of your customer satisfaction ratings and security seals. Incorporating social proof on various locations on your website will help visitors to trust you more, even if they can’t accurately pinpoint why they feel that way. A study by the Baymard Institute found that 18% of consumers buying online actually left in the middle of the checkout process because they didn’t trust the site. They also found that many people are reacting on their instincts and gut when making these decisions. That means you need to give them the proof they need so they will feel comfortable purchasing with you online. There are two ways to accomplish this: (1) show them your high customer ratings and (2) use a security seal that shows your website is safe. 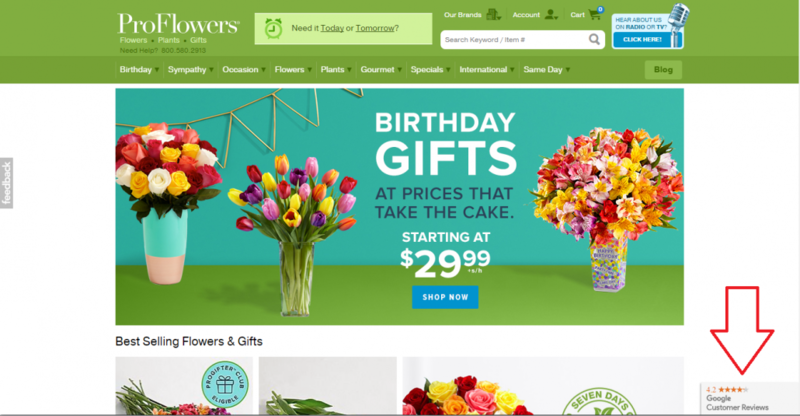 Take the company ProFlowers for example. This site added a way for consumers to be reminded of their high ratings which add comfort to shoppers because if others trusted them and it turned out well, then they can expect the same excellent service. 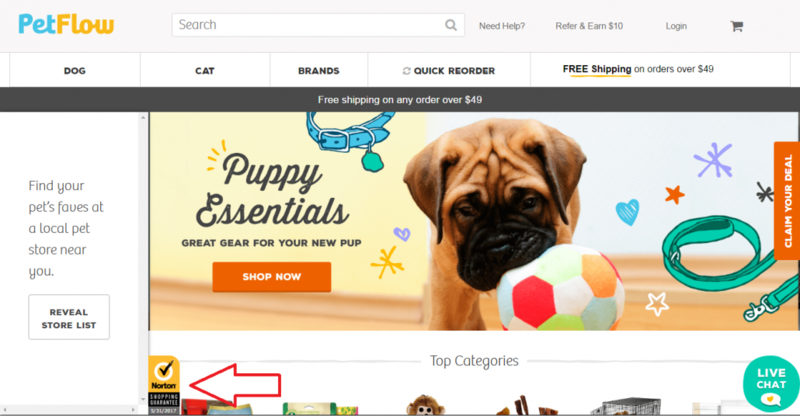 PetFlow is another company that does social proof well. They added a Norton security seal to their checkout process, which according to the previously noted study, Norton is the seal that people trust the most. 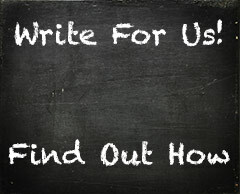 Your website is a great location for customer testimonials. While consumers are reviewing your products and learning about your company, they can see what others thought about their purchases and why they love your products. When putting testimonials on your website, be sure to choose customers that are genuine and authentic. If possible, you will also want to include an image of the customer, as this helps consumers to know that the testimonials are coming from a real person. Include the testimonials on your homepage and product pages, or create an entire section dedicated to testimonials, so that they are easy to find and see. 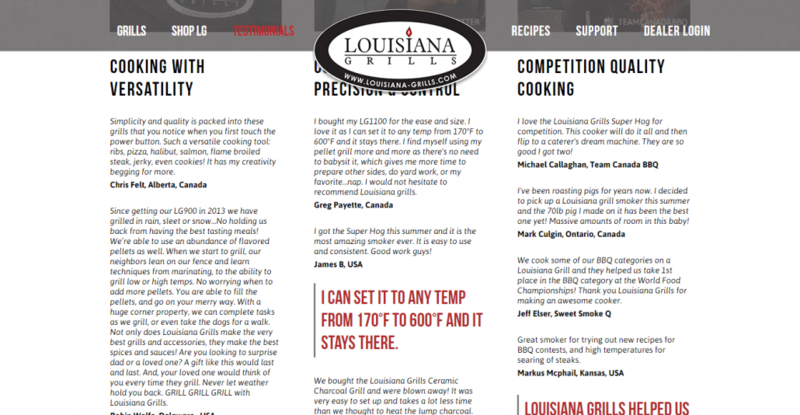 Louisiana Grills took advantage of all of their positive feedback by including a mix of written testimonials as well as Instagram posts on their testimonial page, not only showcasing all the positive messages they’ve received, but also images of their happy customers with their products. 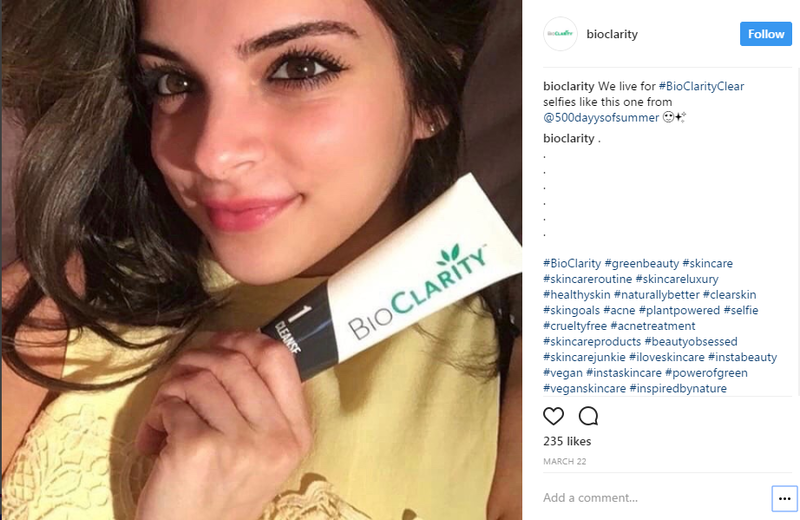 Speaking of Instagram, social media has made it easy for consumers to review products that they love and those that they don’t. They are easily able to give their opinions and recommend their favourite products to their friends and followers. Businesses need to take advantage of social media. Search daily for people that are posting about your product on social media platforms. When you find a positive review, share it. If you don’t see much, only ask your customers to snap a selfie of themselves using the product to share. People love taking pictures of themselves for social media. Make sure that you leave a nice comment as well as a re-tweet or re-gram. Consumers are always excited when businesses interact with them on social media! A good example of this comes from the company BioClarity. This business took advantage of a post from one of their customers by sharing it. Doing this takes only a minute, but can make a big impact on your business and its customers. Adding customer testimonials is a good way to improve the conversion rate of your paid advertising while simultaneously increasing the trust with your target audience. While the click through rates of Google AdWords is small, businesses that used a customer review extension in their ad saw their click rates rise by an average of 10%. This is an excellent way to get the most out of your marketing budget while also separating your ads from the competition. 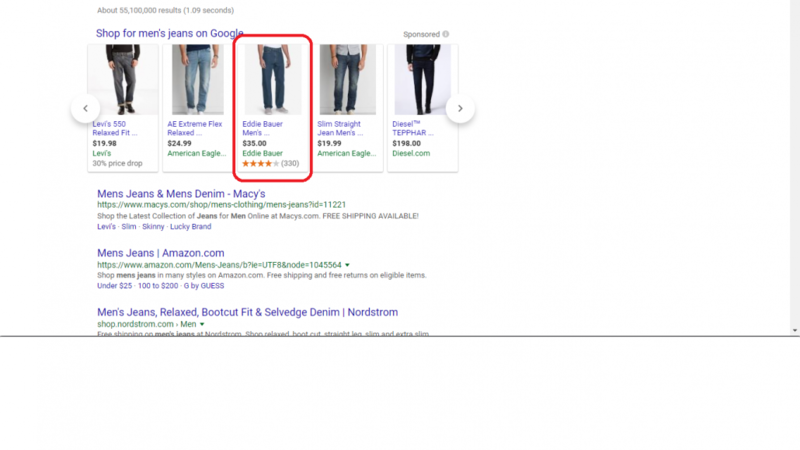 Eddie Bauer is an online retailer that implements this tactic. By doing so, they’ve increased their exposure and chance of conversion by making their product rise to the top thanks to the customer review extension within their PLA ads. Using customer testimonials for organic listings holds the same benefit as adding them to your paid advertising. As a consumer searches and scrolls through the SERPs, your customer review score will jump out at them. Since people are more likely to purchase from businesses that are highly reviewed, you improve your chance of them viewing your site if you have proof that you are a trustworthy business to work with. To improve the number of ratings you have, try installing a product review rating plugin to your site. 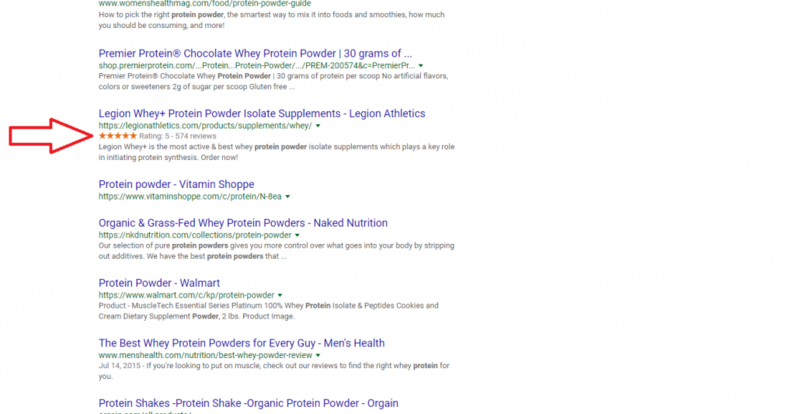 As seen below, Legion Athletics has implemented this technology into their website and are reaping the benefits of increased real estate within the SERP and also capturing the eyes of all the users searching around their related keywords. As we can see, the benefits of customer testimonials are plentiful, and there are multitudes of ways your business can incorporate these positive endorsements into its marketing mix. Whether it’s on your digital assets or inside the SERPs themselves, leveraging this word of mouth marketing can have a tremendous impact on your conversions and brand perception. 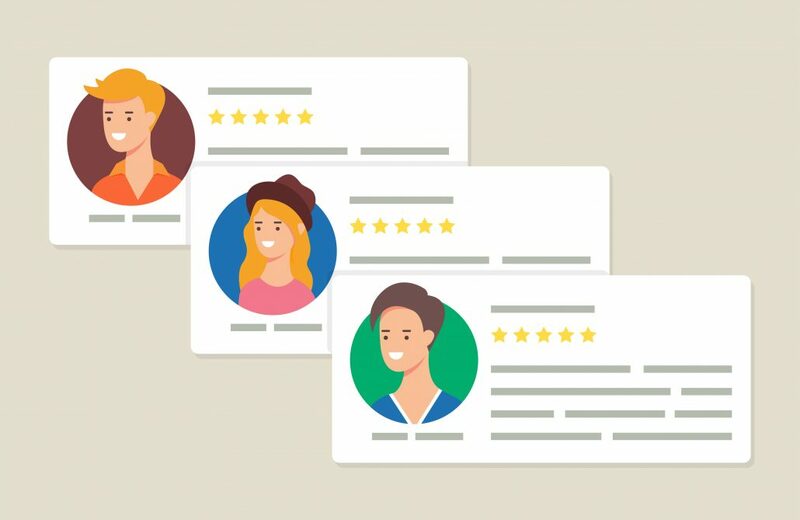 Are you currently using your customer reviews to their full advantage? Let us know your thoughts down below in the comments. Is Having A LinkedIn Account Worth The Time And Effort? Social media networking is important, online exposure is essential, targeting audiences is necessary, blah, blah, blah. This is the information we read whenever we search for help on marketing our skills and becoming a success. The fact is, due to the popularity of the internet and the amount of interaction completed online, these pieces of advice are entirely correct. Fortunately, social media has now made it slightly simpler to create exposure using online profiles, but are they worth the time and effort to set up and maintain? This article will provide information on the pros and cons of having a LinkedIn account to answer this question. What Are The Benefits Of A LinkedIn Account? Needless to say, one of the greatest benefits to any social media tool is the increased networking opportunities. LinkedIn is particularly unique regarding networking as it provides individuals to research potential clients using different enhanced search features. Unlike Facebook or Twitter, the searches can be refined to industry and company requirements to ensure you are contacting the most relevant individuals for your needs. 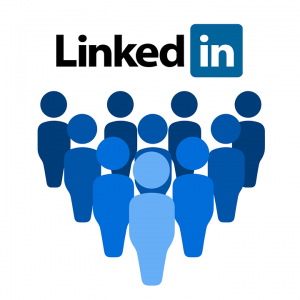 To promote your services and skills, LinkedIn requires the creation of an account profile; however, the profile presents with a high degree of professionalism as you will be required to indicate which industry you are working in. By designating an industry, individuals will have the ability to seek out and view profiles of others with relevant experience and background. It is important to maintain the profile as this will act like a virtual resume providing both customers and potential employers with the correct information to compare information to job descriptions. One of the most beneficial features of LinkedIn is its news feature where content is regularly received from individuals across the LinkedIn forums and categorized into separate industries to ensure people receive relevant news updates in their fields. This is ideal as a means of keeping up to date with the latest trends, concepts, research and opportunities. Furthermore, if you wish to share information regarding new trends or thoughts, it is possible to link a blog to the different news boards. LinkedIn allows individuals to interact with one another in various ways, such as personal messaging, commenting, and a forum Q&A section. In this area, individuals can discuss information, ask questions and share their expertise within their field either publicly or privately. It is a popular place to engage, build a network and discuss potential opportunities. What Are The Cons Of A LinkedIn Account? While all social media sites require a profile setup before you can engage with other individuals, LinkedIn is arguably one of the most complex options. This is due to the fact that LinkedIn requires a vast amount of information in order for a profile to be successful, particularly if you are looking to create a LinkedIn business websites in addition to a personal account. As a business, it is necessary to begin with a personal profile and have an Intermediate or All Star status before the business account can be opened. Unlike Facebook, LinkedIn is a professional website and networking takes time; therefore, increased status can be slow. Despite being a highly beneficial means of sharing information, the amount of content provided can be overwhelming and can lead to a loss of interest. As a business or sole contractor, it is important the articles and information you post are relevant, useful and of a suitable amount to avoid the problem of content overload. Find more tips from your local Edmonton SEO agency! Do you use YouTube to promote your business? The growth of video marketing has been a significant trend in recent years, and YouTube has the potential to produce great exposure for a business especially if you take advantage of all the features it has to offer. This means fully optimizing your channel and videos to ensure you get the best returns from the videos you create. Let’s take a look at some of the benefits of fully optimizing your YouTube channel. The creation of a YouTube channel provides an excellent opportunity to promote your brand. This starts with naming your channel and the ability to upload channel art and an icon which can be used to match your business identity. If someone lands on the home page of your YouTube account, you want that first impression to be a good one and also to make it obvious what your videos have to offer the viewer. The layout of your channel allows you to create a trailer video which is a great way to engage a new viewer initially. A fully optimized channel will make it easy for any visitor to find their way around to discover the videos they would like to view. The introductory video on your home page can help them to do this, and you can also encourage people to subscribe to your channel at this point. As you upload more videos you can arrange your layout to show playlists you create and popular uploads. This all helps to keep people on your channel and more likely to become a subscriber. There are several ways to direct people to your website and your other social media sites through the correct optimization of your channel. The first way you can achieve this is by adding links to the sites you want to feature, and this will appear at the top of your home page. There is also an about section which you should fully complete as a description of your channel and business, and the links you create to your website and social media sites will also show on that page. If you have another related YouTube channel, you could also link to this through the featured channel option. The way you optimize your channel will help it be found by people searching online and in particular in YouTube’s search results. The naming of your channel and description will contribute to doing this and you can also add keywords to your account through the advanced settings of your channel. This can all be enhanced by fully optimizing each video you upload by choosing the right title, description, and tags. 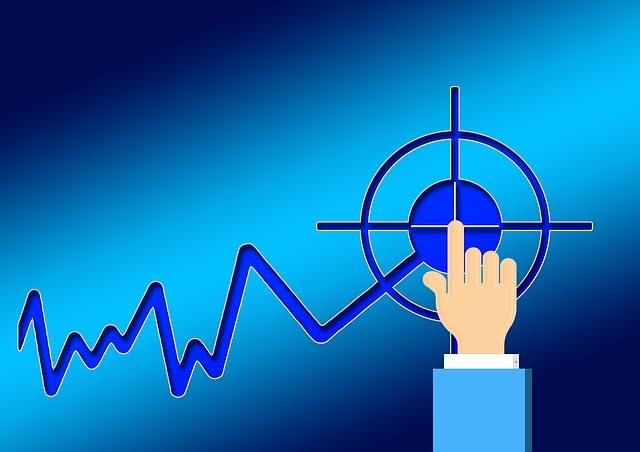 The correct online optimization and building of authority will enable your videos to rank well both on YouTube and Google which will lead to more shares and subscribers. YouTube provides a great marketing platform for your business, and if you optimize your channel in the right way, you will reap the benefits in the long term.